This photo was taken on a farm on the isle of Skye, Scotland. I assisted with a beef cattle workshop for local beef producers held at this farm. 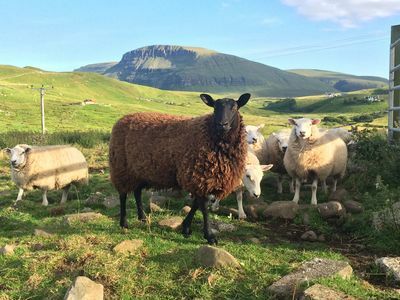 Large, Morgan, "Sheep on Skye" (2014). Study Abroad Photo Contest. 5.